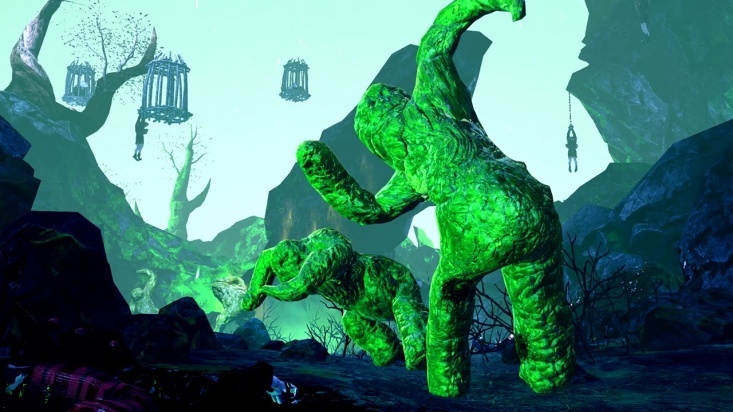 The Abomination Spawn is a generic green colored poop-looking monster spawned by the Abomination boss. It has only one goal - get to players as close as possible and explode into the shower of toxic acid. For such a small and fast enemy Abomination Spawn has somehow decent amount of the health. Abomination Spawn does not resist and is not vulnerable to any forms of the damage except Bludgeon, Fire and Microwave. It also does not take any toxic damage (such as from healing grenades) at all. However, it does take 25% damage of it in Solo games, where ZEDs are more vulnerable to damage types that they resist naturally. It has only 1 weak spot (head) that multiplies all incoming damage towards its body by x1.1. However, Abomination Spawn cannot be decapiatated. Abomination Spawn is extemely vulnerable against all forms of the incapacitation except toxic poisoning. Explosion damage - 15, radius - 3m, falloff - 0 (none), animation duration - 0.95s. Explosion damage type - Explosive. Post explosion cloud damage interval - 1s, duration - 10s. Abomination Spawn will explode when it will be at least 250 units away from the player location. Abomination spawn does not evade damage sources or upon taking damage. It is immune to all toxic forms of damage such as healing grenades, puke bile or Abomination farts. Fart that spawn the Abomination Spawn and Abomination Spawn explosion both have an AOE. Walk speed - 4m/s, Sprint speed - 5.5 m/s. Movement mod: Normal - x1, Hard - x1.1, Suicidal - x1.25, HOE - x1.25. AI pause: gun hit - 1s, melee hit - 0.75s. XP value: Normal - 8, Hard, Suicidal and HOE - 10. Base dosh reward - 10. Abomination Spawn spawn knocked down, its getup animation lasts for 1.97s. Every consumed ZED turns into Abomination Spawn. Multiple spawns have delay of 2 seconds. Abomination Spawn does not talk, produces moaning sounds and sneezes on rare occasion. 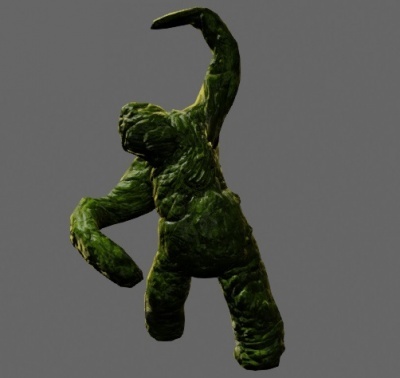 In game files Abomination Spawn refered as a "poop monster". This page was last edited on 1 March 2019, at 23:12.